May I ask what kind of results you are getting with your OC? And do you have kinking on the heatsinks like some people claim to? You're located in Calgary too! Loving the random changes in weather? Just kidding! Isn't offset voltage for people looking to do extreme overclocking or looking to have the lowest V while being stable? I just plan to do a simple overclock, so that should be okay, correct? Is Intel NIC better than the Realtek one or something? I don't know much about these things and would be glad if you could let me know. Is there a reason for using the arrow keys rather than the mouse scroll? Have I noticed a difference? No. Shouldn't be any issue at all. The cpu is protected by throttle down if it ever got to warm anyways and that is not likely in a properly(I stress properly) setup,dust free maintained system with adequate airflow. 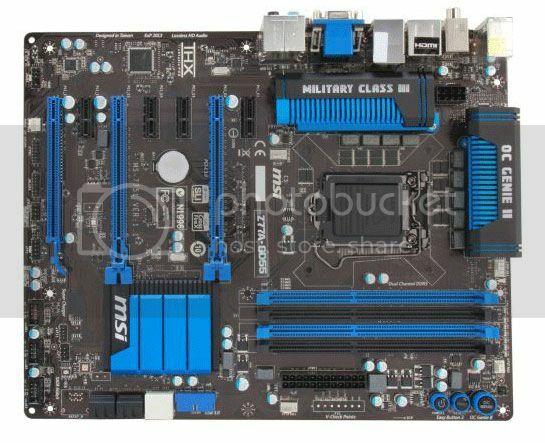 Funny few years ago it was Gigabyte wall to wall here, Asus was not that much popular here, now everyone is using Asus, but some now are looking at MSI , in that time I was an Asus guy, since a year I'm a MSI one, look's like I'm always in advance of my time. 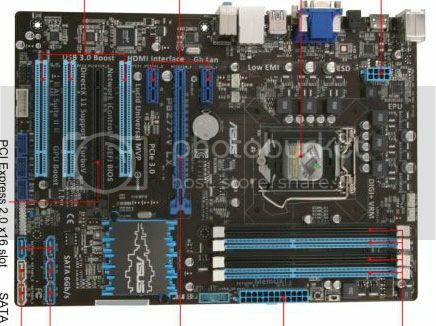 MSI start few years ago to level the quality of their motherboards layout and components. If you look at the GD55 it as amazing layout too for a $ 139 motherboard : power, reset, oc buttons, voltage reading point, look how clean it is around the CPU no more Koolance 360 crashing the caps for sure. Last edited by botat29; December 13, 2012 at 08:54 AM. I used to use Asus or Gigabyte to.